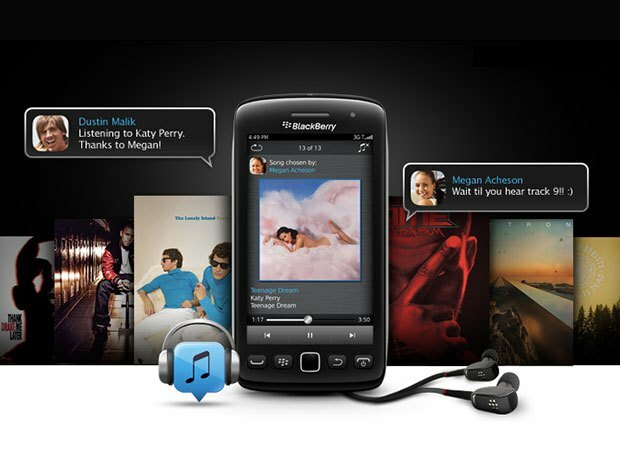 BlackBerry, the Canadian smartphone maker, is scrapping paid music-sharing service BBM Music in June following a review of its strategy. BBM Music, which cost $4.99 a month, will be discontinued on June 2, and subscribers will be given 30 days free access to the RDIO music service, the Waterloo, Ontario-based company said today in an e-mail. BlackBerry didn’t elaborate on why the service, which began in August 2011, was shutting down or whether it was profitable. The company formerly known as Research In Motion Ltd. (BB) has cut 5,000 jobs and shut down six of 10 manufacturing sites in the past year to restore profitability as sales continue to fall. BlackBerry last week reported a surprise profit and said it expects to be about break-even this quarter, helped by the cost reductions and demand for the new BlackBerry Z10 phone. BBM Music, which allows users to share music through the BlackBerry Messenger instant-messaging platform, competed with free services like Spotify Ltd. and Pandora Media Inc. (P)that allow users to listen to a selection of songs interspersed with advertising. It planned to rely on its BBM users, which then numbered 45 million, and deals with record labels to build a catalog of 10 million songs in the service. BBM now has 60 million instant-messaging users. The new BlackBerry 10 operating system enables developers to bring “very rich music and multimedia apps and services to customers,” the company said. BlackBerry was little changed at $15.07 at 11:53 a.m. in New York. The stock has climbed 27 percent this year.